Certificate Framing is a Premium Custom Framing Business. We sell High Quality Australian Made Certificate Frames Online. 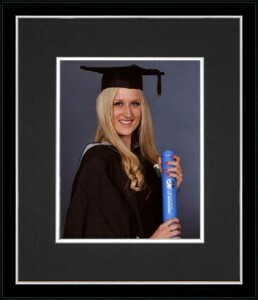 Graduation Photo Frames: Normally $69 – Pay only $49 when you add the matching 10’x 8′ (250 x 200 mm) Graduation Photo Frame to your order. This photo frame compliments the certificate frame you have ordered perfectly. 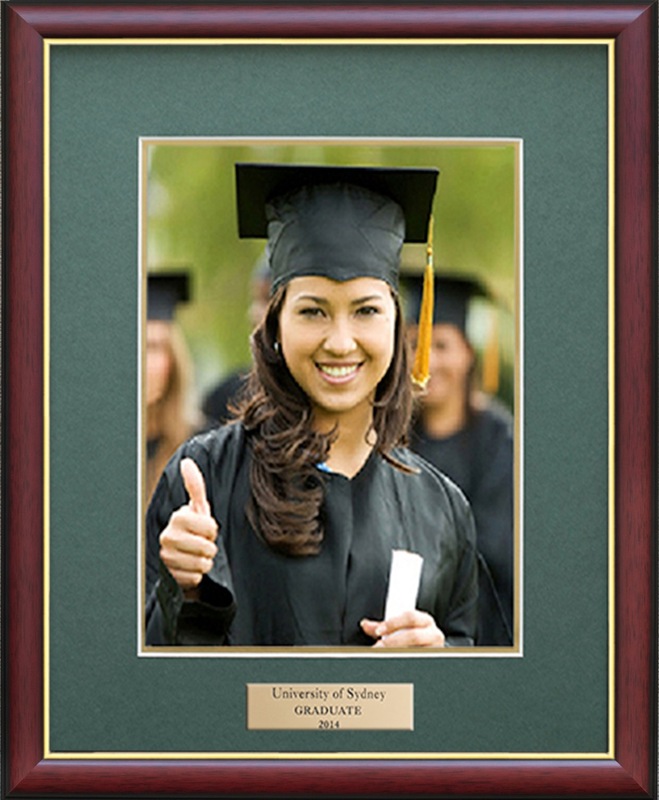 The frame will be made with the same frame finish and matboard colours you have chosen to showcase your University Degree. 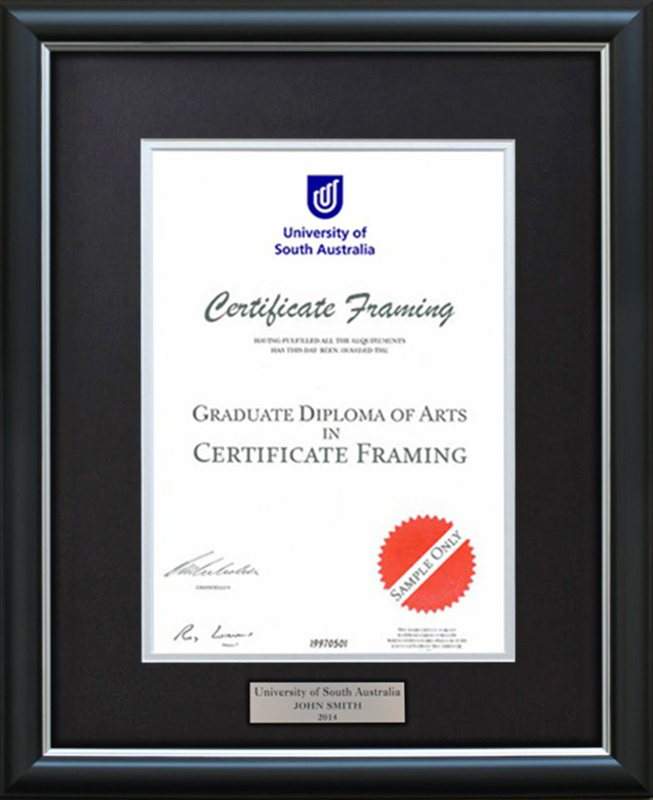 Personalised Plaque: For ONLY $10 it’s the perfect finishing touch to enhance the prestige of your Handmade Certificate Frame, they just look great. We will send you an email, (after you have paid and checked out) to get the personal details you would like engraved on your plaque. It’s your choice of 2 or 3 lines of text. Contact us – We’re easy to work with and offer great advice. Feel Free To Call – 04 3851 1218 For Assistance To Place Your Order. 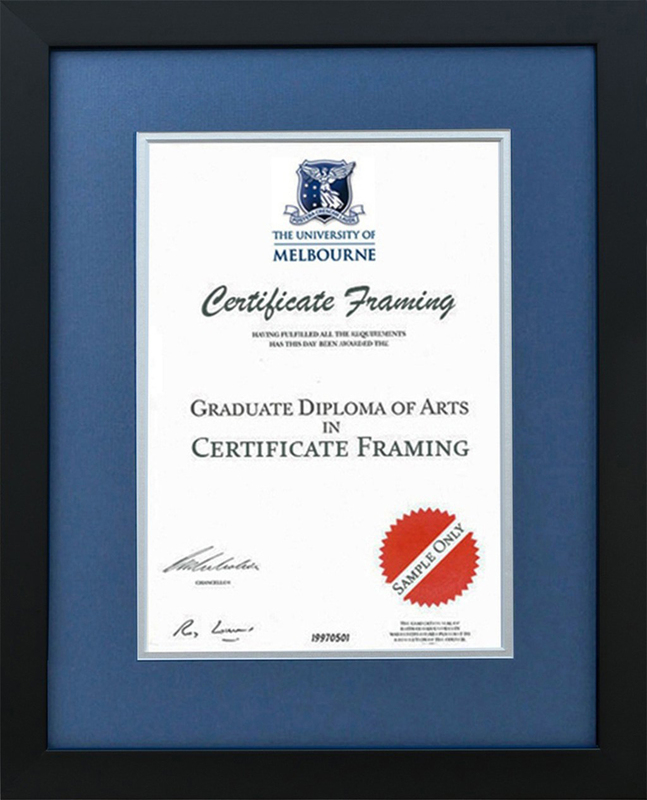 We will help you custom design your High Quality Certificate Frame. Handmade specifically to fit the exact size of your University Degree. Modern Frame Profile is 30mm wide. Traditional Frame Profile is 33mm wide. Acid Free Materials: We guarantee all materials touching your Certificate are acid free. The materials we use will not become acidic over time and cause permanent damage. This is the only way to go to protect your UNE (Testamur) Graduation Certificate. 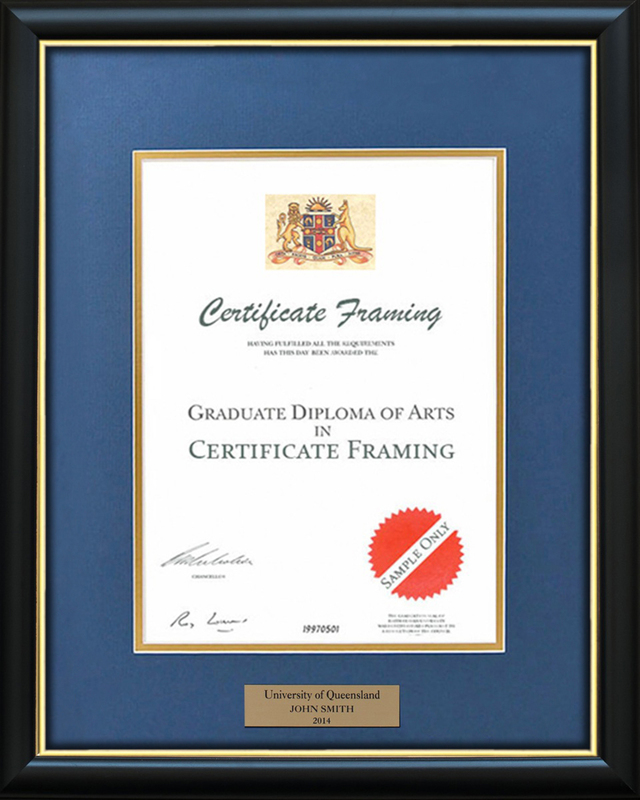 We Guarantee 100% Satisfaction on Quality, Service and Price: As a premium custom framing business, when we hand make a certificate frame for you we use only the highest quality materials available. The premium quality Timber and Acid-free Materials we use will help preserve your University of New England Degree for a lifetime.